Make the best decision with Unimap. Now you can get essential information in real-time, to make the best decisions for your field. Acronex is a company dedicated to technological research and development in the agricultural sector. We offer tools for facing new challenges in the sector, aimed at increasing the productivity of processes, reducing environmental impact and guaranteeing communities the correct application of pesticides. To achieve this, we developed real-time control and monitoring systems that allow you to understand what is happening on your farm and make instant decisions from the office, on the road, right on the farm, or wherever you may be. We seek to optimize work processes and satisfy the needs of every component in the agricultural process. UNIMAP is next-generation software that shows all your data and alerts in user-friendly way from your smartphone, tablet, PC or any other device. You can access information at any time in order to act quickly and improve processes. UNIMAP is a technological solution that allows you to manage spraying in real-time. Now you can control each of the key variables: location, temperature, humidity, wind speed and wind direction. UNIMAP is sustainable because it protects your financial decisions, it increases the quality of work during spraying, it allows you to have real-time control, and it helps to increase profitability. With this control, it also improves the interaction with the environment. 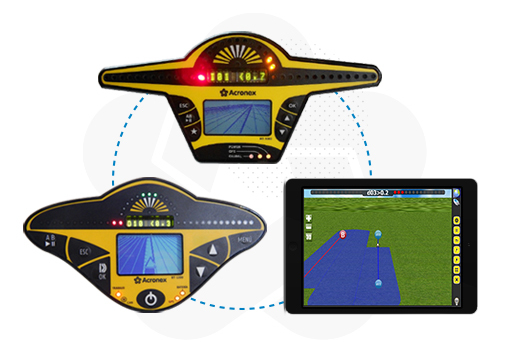 UNIMAP is a technological solution that allows you to manage planting in real-time. Now you can have instant access to information about planting speed, seeding density, fertilizer application, and alerts about density or failures. 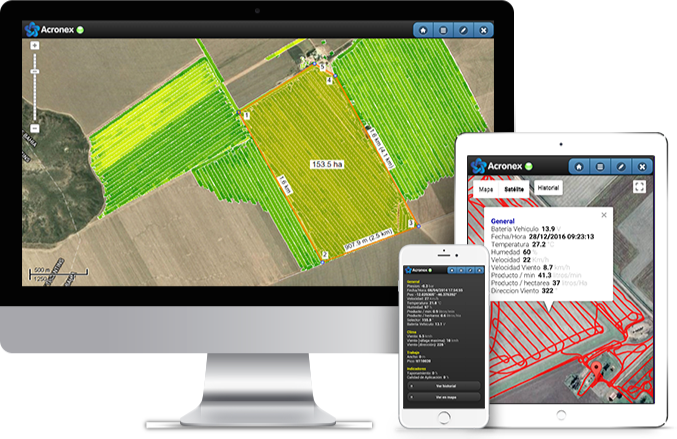 UNIMAP is a technological solution that allows you to manage harvesting in real-time. Now you can get instant information about humidity, yield, weight in kilos of crop harvested in the field, in harvesting bins, as well as during transport to the final destination. UNIMAP is sustainable because it protects your financial decisions, it increases the quality of work during harvesting, it allows you to have real-time control, and it helps to increase profitability. UNIMAP is a technological solution that allows you to manage supplies for your livestock in real-time. UNIMAP is sustainable because it protects your financial decisions, it increases the quality of work during the distribution and use of livestock supplies, it allows you to have real-time control, and it helps to increase profitability. UNIMAP is a technological solution that allows you to manage general maintenance in real-time. Now you can get instant information analyzing routes, fuel consumption per liter, and other details. UNIMAP is sustainable because it protects your financial decisions, it increases the quality of general maintenance work, it allows you to have real-time control, and it helps to increase profitability. Autonomous, does not require operator intervention to function. Independent of any GPS or other pre-integrated system. Internal battery to operate without external power supply, and can store years’ worth of data. Enables real-time monitoring in zones with no cellular service. Analog, digital and other data protocol entries. Acronex is a company dedicated to technological research and development in the agricultural sector. We offer tools for facing new challenges in the sector, aiming to increase the productivity of processes, reduce environmental impact and guarantee communities the correct application of pesticides.